These are some of my favorite images from Carrie Reschke and Craig Rowley’s wedding. 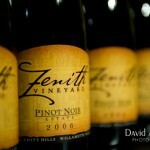 The ceremony and reception were in Salem Oregon at Zenith Vineyards and very cool location. © 2019 David A. Barss, Photographer|ProPhoto Photography Theme by NetRivet, Inc.